Featured on Vogue, Food & Wine, and The Wall Street Journal, Winc takes the guesswork out of drinking by offering bespoke, curated wines based on your palate - delivered right to your door. Grab your $26 pulse (a $52 value) for Four Bottles Of Wine. You'll fill out a simple online questionnaire and let Winc's wine experts handpick the best reds, whites, rosés, sparkling and even orange wines for you. Know what you like already? You can pick them out yourself, too. Pick the $45 pulse (a $102 value) for Six Bottles Of Wine if you love wine, picnics, BBQs, dinner parties, and more. You'll impress all your friends with exquisite, distinctive bottles that only look like it took years of trial-and-error to collect. 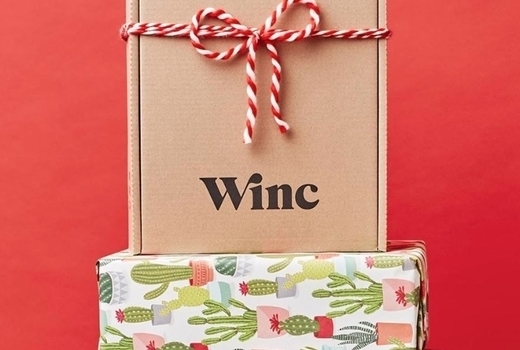 Best of all, Winc's delivery is quick and complimentary. The less time you spend going to the store, the more time you have to relax, sip, and savor with friends. We'll say cheers to that! Founded in 2012 by a team of winemakers and sommeliers, Winc is a personalized wine club that operates its own California vineyard while also curating hundreds of fine wines from around the world. Winc makes getting your wine as seamless as that first sip, by picking out bottles tailored to your preferences and the season and delivering them directly to your door each month. Think: the 2016 Vingt Deiux Beaujolais from Lantignié, France, the 2016 Salient Pinot Noir from Sonoma, CA, or the crowd-pleasing 2017 Summer Water Rosé from Central Coast, CA. With over 100 wines at any given time, the selection ranges from classic, tried-and-true reds to beloved whites and plenty of new varietals (such as orange wine). You'll discover new, hidden gems in the comfort of your home; Winc also makes the perfect, personal gift for your friends and loved ones. Robust and rich, to refreshing and aromatic, Winc wines will help you celebrate any special occasion - and turn everyday moments into celebrations. "Winc is different from its competitors because you can to take a fun wine quiz that helps determine your “wine personality” and matches up your flavor and taste preferences with the best wines they have. This is a fun way to start your subscription with and you feel more confident in knowing you will love the wines you receive." Includes complimentary shipping. New clients only. Subscription automatically renews, you may cancel any time after your first box ships.